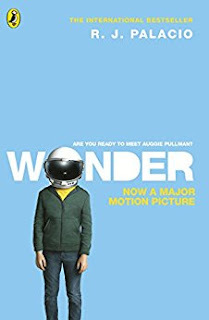 Wonder is about a ten-year-old boy named Auggie (August) Pullman. Auggie was an unlucky child as he had been born with a deformed face. Even after twenty seven surgeries Auggie’s face looked so bad that people were shocked when they saw him. Auggie had never been to school before and had been homeschooled. Now, his parents wanted him to attend a real school as it would be fifth grade and the start of middle school for everyone. Auggie starts at Beecher Prep. Everyone find him scary-looking and most of them are mean to him The book then talks about how Auggie feels everyday at school and how he makes a few friends and how he starts enjoying school. The book was one of my favourite books ever because everything was written so well and it was simply amazing. My favourite part was that the book had many different parts. Most of them were from Auggie’s point of view but a few were from the different people in his life like his sister or his best friend. This gave you a chance to see what everyone feels about Auggie and from their point of view. 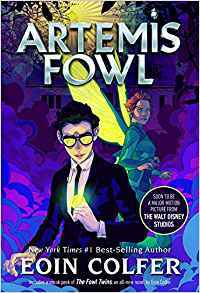 It was a great book to read and I loved the sequel of this book too. This book is the only book in the Middle School series that it written from Georgia’s point of view. 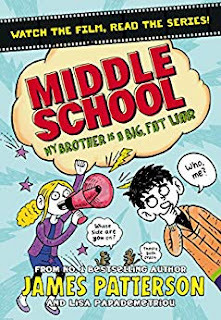 Georgia is Rafe’s younger sister and now that she is in middle school she too is going to HVMS (Hills Village Middle School).The book talks about how Georgia Khatchadorian goes to HVMS. The teachers get to know that Georgia is the sister of the infamous Rafe and give her no chance to prove herself. They think that Georgia is just like Rafe and only wants to fool about. Adding to this are the Princess Patrol, Missy, Bethany and Brittany. They are a group of girls that are popular and cool and treat everyone else as dirt. They have now singled out Georgia as the new person to bully. Then Rafe signs up Georgia’s band to play at the dance. Knowing that their band was horrible Georgia is afraid about what will happen at the dance. Will she be able to survive till the end of the year? This was only a short glimpse of what the book is about. The book is so funny. It is also a change to be reading from Georgia ‘s point of view. You get to know a lot more about her and what she feels. It is also hilarious when Georgia thinks of the different ways to outsmart the Princessesses. The tricks that she and Rafe play on each other. It all comes together very nicely and the result is one amazing book. The plot and everything else is just awesome. 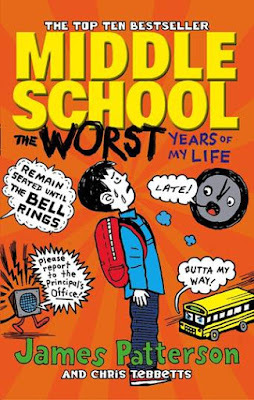 This was another one of my favourite Middle School books because it was from Georgia’s point of view. © 2018 Anika Agarwal. All rights reserved. The Mithaiwallas are one of the best sweet-making families. 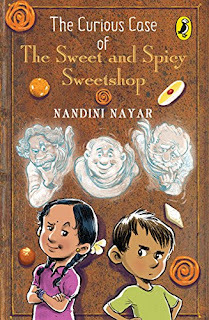 The secret to their success is a book that contains the recipes of every delicious and new sweet created by them. Vishnu Mithaiwalla is the current generation in the Mithaiwalla family. One day a boy named Laddoo shows up and claims that he is his nephew, the son of Vishnu’s estranged sister, Revati. The next day however, a girl named Anu shows up claiming that she is his niece and the daughter of Revati. Both say that they have come to live with him. Now, Vishnu is in a fix and has no way of knowing who is the real relative. On top of this, someone sets out to steal the ancient recipe book! Will Vishnu catch the culprit before it is too late? Will he find the real Mithaiwalla descendant? That was the summary. 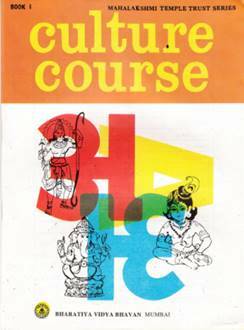 This book was recommended by our librarian, Pratap Uncle. The minute I read the blurb I fell in love with the book. The plot was simple yet very entertaining. This book is one of those books that you won’t mind reading over and over just because of its simplicity. I liked the way all the recipes are described and the way the food is made. The book makes your mouth water when you think of the food. This is a book that any kid would like reading. 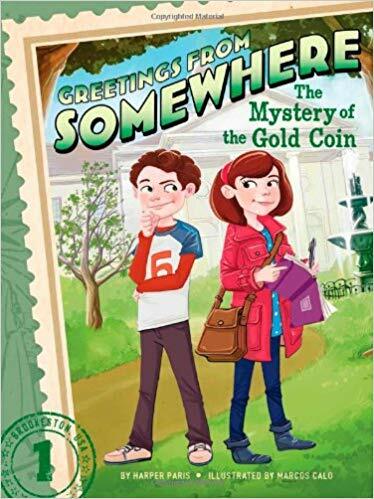 This book is the first book in the ‘Greetings from Somewhere’ series. It has short story. It is about two twins called Ethan and Ella. One morning their mother tells them she has a new job, she is the travel writer for the local newspaper ‘Brookeston Times’. In this job she has to travel all around the world, see different places and then write about it for the newspaper. This also means that the whole family will have to move and travel along with her. The worst part is that they are shifting next week. This book was shown to me by my father. My sister had already read this book and didn’t have a great opinion of it. I however, decided to read it and then form an opinion. 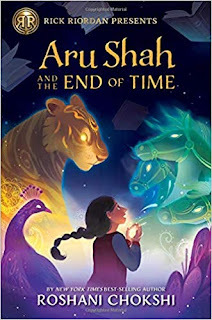 ‘Aru Shah and the End of Time’ is about a twelve-year old girl named Aru. Aru always feels left out and the odd one out at her school. Her mother is a famous archaeologist, who works at the ‘Museum of Ancient Indian Art and Culture’ and is always busy with work and business trips. The result of all of this was that her mother would often forget about Aru, her classes and her activities. Everyone would be dropped by their parents and have fancy cars while she would walk to school alone. Desperate to change this, Aru starts using her imagination and creates stories about the imaginary cities and places she has visited. Since, Aru practically lives in the museum she uses the artifacts and statues around her as inspiration. An elephant statue in the museum becomes a wild elephant that she tamed and rescued from India. This works and slowly but steadily Aru starts finding a place for herself in school. One fatal day, she is visited by three of her classmates, Poppy, Arielle and Burton. This time Aru is trapped in her own lie of being on holiday in France. To make things worse, they are recording every single thing she does so that they can reveal all of her lies to the whole school. She decides to do something very dangerous and forbidden, she decides to light the cursed lamp. Ayesha is on vacation with her parents. One night she was getting bored and was unable to sleep, so she decided to go for a walk along the beach where she was pulled into a hair-rising adventure. A talking dolphin takes her to the Queen of the Seas, Shekina. A huge problem is threatening the ocean world. Firefish, the life-giving source of the ocean are disappearing. If they disappear all the ocean life will die out and there will be chaos. Unable to say no to Shekina, Ayesha has to find out whoever is doing it and make it stop. Along with a surfboarding snail, Caroline, and her geeky cousin, Xander, she travels to many places and finds new things on the way. From shapeshifting killer dogs, to space-travelling giant beads, she discovers the truth behind the disappearing firefish. I loved Caroline (the snail) aka Caro. I loved Caro’s dry and sarcastic comments and replies. She added a lot of humour and fun to the story. What surprised me was that Caro was so strong that she could defeat the giant killer dogs by herself. The book had a gripping plot and that’s what made me read it till the end. Though sometimes the story would lag a bit. For example, the starting was boring and not very clear when it explained what the firefish were. 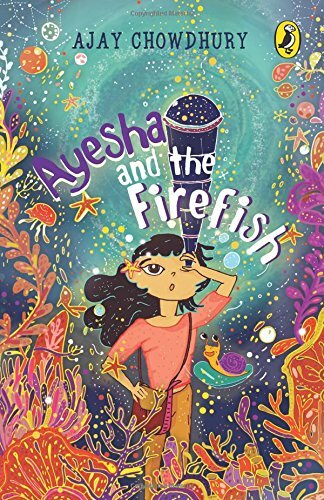 Another part is at the end when Ayesha meets the aliens, it is tough to understand what they are and why they need the Firefish. Other than these few portions the rest of the book was fascinating. 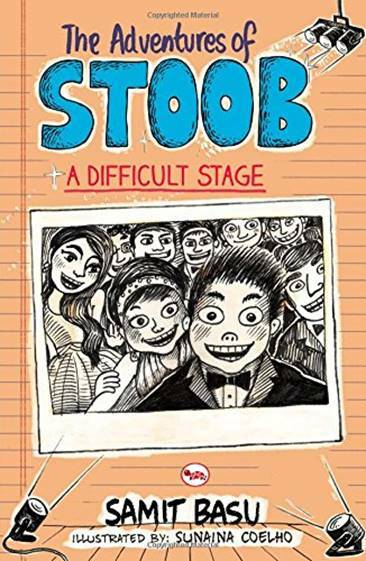 This is the second book in the Stoob series by Samit Basu. We have mentioned the first book in our November newsletter. The series is about a boy named Stoob and the hurdles he faces in school. In this book, Stoob is now in middle school. The year he had been waiting for his whole life. He is very relaxed and is finding a whole new world of freedom. With his new phone and no exams what more could he ask for. When the new play comes up it’s time for Stoob to show his acting talent and get the main role before it's too late. Alas, for all his high hopes and his effort, he got the role of a table, a mere table! Adding to his horror was the name of the play, 'Teen Rama Adventurez'. Everyone knew it to be the most boring television show on the planet. Luck changes when his guitar teacher takes over the play and gives Stoob one of the main roles. Will Stoob be able to do it or will he crack under the pressure? Will the play succeed or fail? And what is the nasty surprise waiting for them at the end? Pages of humour and an interesting plot makes this one my favourites. Now, coming to my favourite parts, the best part in the book is when Stoob carries out his secret mission. It was so funny. I enjoyed watching the Suit (read the book to learn about him) stumble and lose his way and miss the opening night. I just loved it. Every book in the series has a new, comical and fantastic plot. I have re-read the series thrice. I would recommend this series for the age group of 9-12 years. 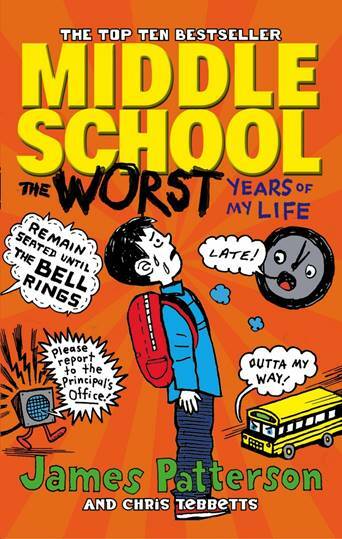 This is the first book in the middle school series by the author James Patterson. 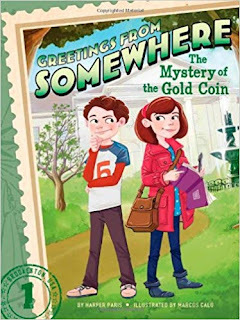 It talks about a boy named Rafe Khatchadorian who lives with his mother, his sister Georgia and his almost step-father Carl or the Bear. It is the start of the school year and Rafe is enrolled into the Hills Village Middle School or HVMS. At HVMS everything is neat and orderly and has too many rules. Rafe is one of those people who can't follow rules and wants to break them. However, under the strict eye of Principal Dwight and Ida.P. Stricker he is unable to do anything. Then his best friend Leo the Silent comes up with a plan named Operation R.A.F.E (Rules Aren't For Everyone). The plan is to break every single rule In the HVMS student handbook. Leo keeps on awarding points depending on the rule broken. Three lives and more than a hundred rules. Will Rafe be able to break every single one of them before the school year ends and he is discovered? Soon there comes a time when he is walking on ice. Does Rafe have the courage to continue? The answers are in the book. I found the plot nice and Operation R.A.F.E was my favourite part. I love how Rafe breaks the rules in such hilarious manners. When the truth about Leo was revealed I was shocked. I never expected it. The plot builds up interestingly and not a single past is boring. Anyone who hates rules should read it. Everyone else should read it too. This is one of the books in the Magic Ballerina series. 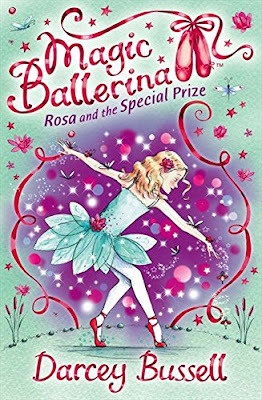 It talks about a girl named Rosa, who loves ballet and wants to become a famous ballerina like her mum. She also has a secret - she owns a pair of magic ballet shoes that take her to a magical world called Enchantia. All the characters from famous ballets live here. For example, the Nutcracker, the Sugarplum Fairy, etc. This time when Rosa is taken to Enchantia a terrible problem has arisen. The sceptre of King Neptune (the king of the seas) is stolen. He believes that King Tristan, the king of the land had stolen it. King Neptune decided to flood the land and make huge storms till King Tristan returned it. Unfortunately, the problem was that King Tristan hadn't stolen it. It was up to Rosa and her friend Nutmeg, to find the sceptre in the vast sea and also the real culprit before the land and sea was torn apart by the storms. 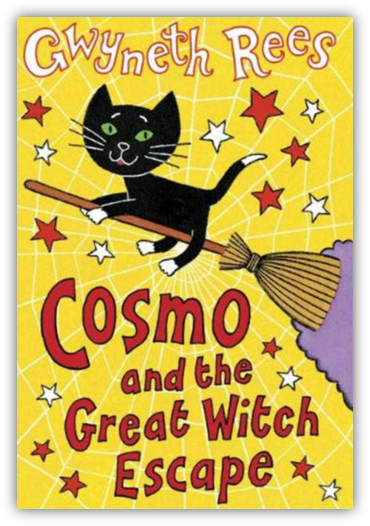 This was the first book in the Magic Ballerina series that I read. I found the book to have a simple and entertaining storyline. The best part was the dance which Rosa and Nutmeg did to become sea nymphs. I also liked the part when the real culprit is revealed. The only part that I didn't like was when the two girls were in the cave. It gets boring as all it talks about is Solly, a cave spirit. Other than that, it is a good read. This is my eighteenth Purana review. This is my second – last rajsik Purana too. The Vamana Purana comes fourteenth in the list of Mahapuranas. It only has ten thousand shlokas. These shlokas are divided into a purva bhaga and an uttara bhaga. There are ninety-five chapters in the Purana. 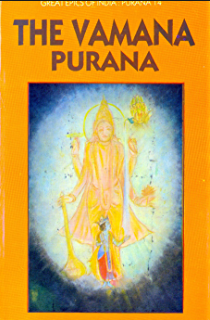 This Purana was first recited by Sage Pulastya to the rishi Narada. This Purana talks more about the wars between the gods and the demons. It mentions the asura Andhaka a lot. It also focuses more on the formation of the goddess Durga except they call her Katyayani. The defeat of Mahishasura, Chanda, Munda and Raktajiva are described in great detail. The formation of Koushiki and Chamunda are talked about too. In all these stories I found a very unique one. It talks about another vamana avatar of Vishnu. This story is given below. 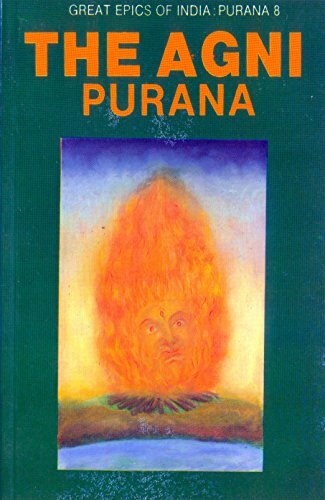 This is my nineteenth and last Purana review. It is my last rajsik Purana. The Brahmavaivarta Purana comes eighth in the list of Mahapuranas. It has a total of eighteen thousand shlokas and is medium in length. These shlokas are divide into four khandas. They are the Brahma khanda, the Prakriti khanda, the Ganesha khanda and the Srikrishnajanma khanda. Although this Purana is a rajsik purana it glorifies Krishna more. Krishna is said to be the creator. He is identified with the brahman and is said to have created Shiva, Brahma and Narayana from his own body. This is slightly confusing as it describes Krishna’s type of creation and Brahma’s creation at the same time. This is one of the few Puranas that talk about Krishna in great detail. In Krishna’s creation, all the gods and goddesses emerged from different parts of his body like his chest, mouth, mind, etc. In Brahma’s creation, the world was formed from a golden egg. Like most Puranas this one also starts in the Naimisharanya forest. The narrator is Souti or Suta who is the son of Lomaharshana. On the request of some sages Souti narrates the Brahmavaivarta Purana. This was a very interesting Purana. It had so much new information. Most of it was in the form of stories. I learnt lots of stuff. Out of this information I picked out the most interesting bits and have given it below. Have you wondered why Narada was named Narada? What is the meaning of the name? The answers to this are given below. You should recite this prayer and pray to Nara and Narayan. Only after you do this should you start reading any sacred text. Let us start the review now. This is my seventeenth Purana review. It is also my last sattvika purana. The Narada Purana comes sixth in the list of Mahapuranas. It has twenty-five thousand shlokas which are divided into the purva bhaga and the uttara bhaga. 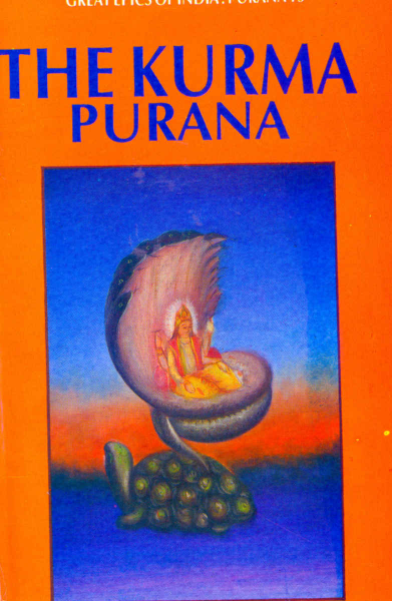 There are a total of thirty-eight chapters in this Purana. This Purana is also called a vrihat purana. Vrihat means vast. Like most Puranas this one also starts in the Naimisharanya forest. However, this time the narrator is not Lomaharshana but his son Suta. 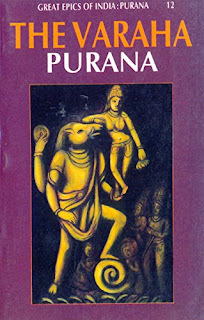 I will also give a little information on the title of this Purana. 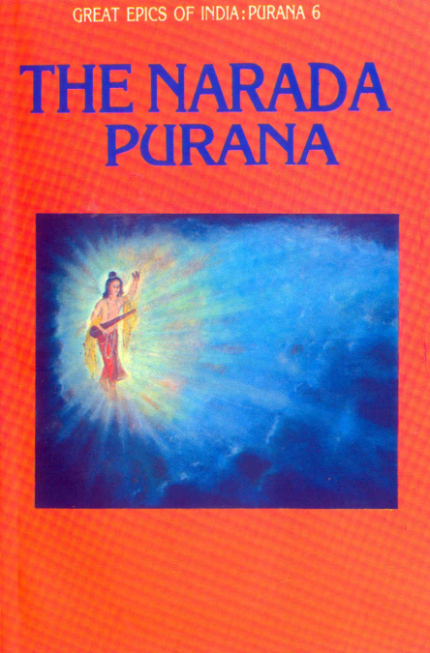 The name of this Purana is Narada Purana as it was first recited by the sage Narada to Sanatkumar. I will now narrate my favourite stories. 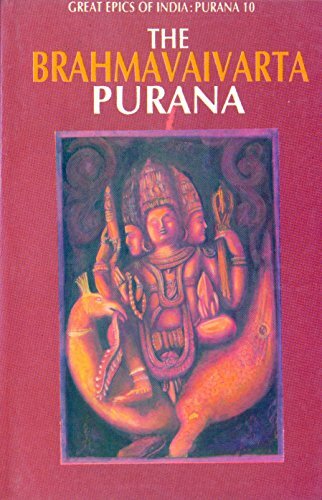 The Kurma Purana is my fourteenth purana review. It comes fifteenth in the list of Mahapuranas. In my last review, I had mentioned that I would review one category at a time. Well, I wanted to complete the tamasik puranas (puranas that glorify Shiva) first so here is a tamasik purana review. This Purana is medium sized and has seventeen thousand shlokas in all. It was divided into four sections, the Brahmi samhita, Bhagvati samhita, Souri samhita and the Vaishnavi samhita. Unfortunately, now only the Brahmi samhita is left. It is this section that is known as the Kurma Purana. The Brahmi samhita has 2 divisions. The Purva bhaga and the Upari bhaga. The purva bhaga has fifty-two chapters and the other one forty-four. 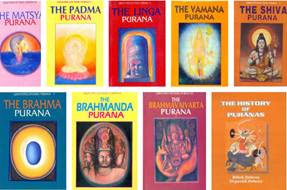 I will give a little history about the name of the Purana. This is a short and easy to read book. It is written by Narendra Modi, our Prime Minister. As you can guess from the title it talks about exams. Can you guess who the warriors are? Us kids! 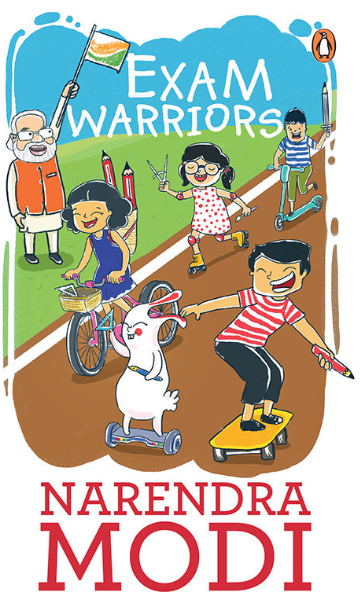 We all take exams and in a certain way we are the warriors. It is mostly written for the kids taking board exams but it can be applicable to everyone else too. Most of us get nervous when the exams come but after reading this book you will feel a lot calmer. The book is filled with tips and advice on Do’s and Don’ts before the exam. It teaches you to look at exams in a positive way and not get scared of them. It even shows how little things like packing your bag is important. It gives a lot of emphasis on organization. Making timetables and prioritizing your work helps a lot and saves time. One of the things mentioned is sleep. Most of us like sleeping late but writing an exam with a tired mind compared to writing an exam with a fresh one has a huge difference. My favourite part of the book was the topic of the presentation. I love writing and presenting my work neatly. As I found out in the book that a neat answer sheet can make all the difference in the world. I felt the most important thing in the book was Yoga. Yoga helps in making our mind clear and focused. It is good to do Yoga before going to write an exam. There are few Yoga asanas given at the back of the book. I tried a few of them and they were fun and easy to do. The book is lots of fun. It has many activities related to each topic. There are activities for example: creating your own mind-map and timetable, writing do’s and don’ts, solving crosswords and mazes. There is a ‘My Mantra’ page at the end of each topic. You can write your mantra or motto for the exam on this page. On each activity page, there is a QR code which you can scan and then share your work with other people. I enjoyed reading this book. I completed it in one day. This is an amazing book and people must read it especially students. in OpIndia on Feb 17, 2018. This book is about Urmila. She is a character from the Ramayana who we don’t know much about. Urmila is most commonly mentioned when Lakshman decides to go for exile with Ram. Sometimes we wonder why didn’t Urmila go for exile with Lakshman. She chose to be separated from her husband for fourteen years, rather than to go with him. The Ramayana never really does talk about Urmila. Every time I read the Ramayana, it talks about Ram, Lakshman, Sita, Ravan, Dasharatha, Kaikeyi etc. It never specifically tells us how did Urmila bear these years of separation, and how did she feel when Lakshman decided to go to the forest, leaving her behind. 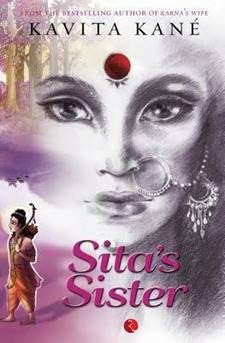 I think Urmila, also known as Sita’s sister was an exceptionally brave woman to bear this separation. This book gives an answer to one of my many questions when I read the Ramayana. The author Kavita Kane knows how to bring out the true feelings of a person in her books. So far, I have read three books of hers and all three of them concentrate on the feelings and thoughts of the person. All her books have been on female characters from the Ramayana or Mahabharata. In this book, it concentrates on all that Urmila feels and thinks. I only felt that it could have done without the romance between Urmila and Lakshman. Otherwise I feel that it was a nice book and I enjoyed reading it. Between the three of Kavita Kane’s books, this was my favourite. 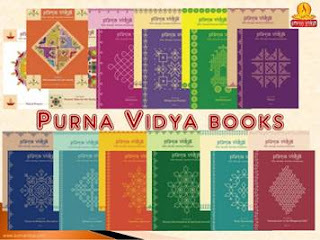 Purna Vidya is a series of books that explain to us our Hindu Culture, our epics and various stories. They have many books in the series. This particular book is the fifth in the series. 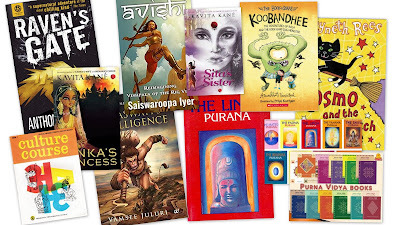 Each of the books are on a topic related to Hinduism. This book is on the Mahabharata. It is divided into 18 chapters each one on of the parvas in the Mahabharata. One of the parvas would be given at the start in the form of a story after that there would be questions and activities. It was fun to do the activities. Purna Vidya has many activities that also help us have fun as well as learn our culture. These books that should be read to a child from childhood. Koobandhee talks about a boy named Bala who loves reading. Unfortunately, his books are terrorized by his book-eating sister. The summer holidays start and Bala is shipped off to Melagam with his sister to live with their grandparents. 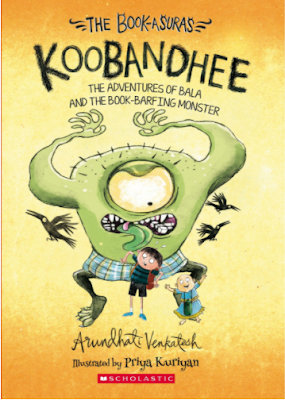 Bala feels that things can’t get any worse but they do when he meets the monster Koobandhee. She eats and barfs books. She also farts a lot. She blames Bala for her problems as he had destroyed her descendant, Bookasura. This had caused all the future generations to develop problems. Bala is very scared of her. Unfortunately, she lives right next to his grandparent’s house. One day while visiting Navneet Uncle he leaves his books in Koobandhee’s cave! How will Bala survive his summer? 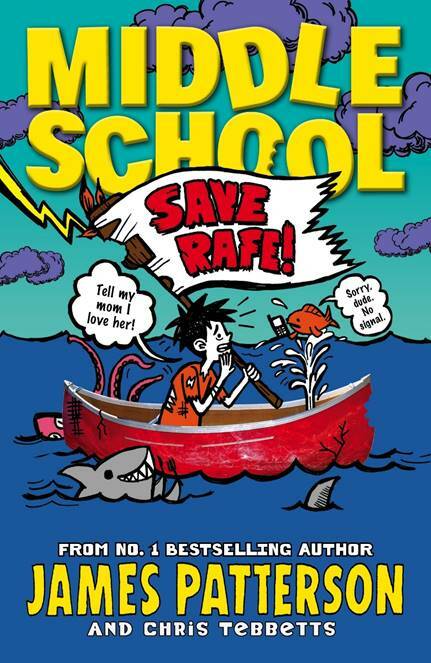 Most importantly how will he rescue his books before Mrs. Shashee, his librarian finds out? This book was very funny. The plot was very simple and nice. The illustrations were funny too. I decided to read it because I had read the first book in the series. Since, I liked the first book I decided to read the second book too. It was a very funny story. 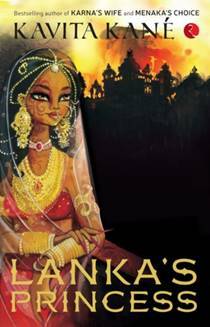 My favourite character was Meera, the younger sister of Bala. She was so cute. It was a nice experience reading this book.